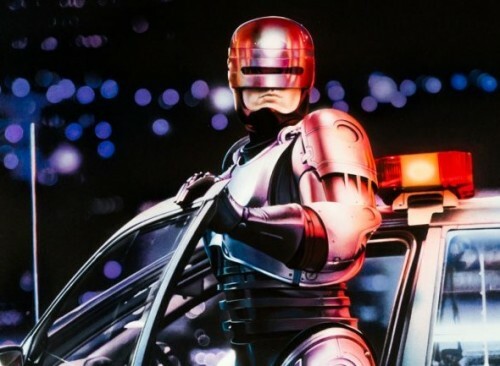 District 9 and Elysium director Neill Blomkamp is set to take the helm on MGM’s newest Robocop reboot, Robocop Returns. The film is described as a true sequel to Paul Verhoeven’s 1987 sci-fi classic about a veteran police officer murdered by criminals and brought back to life as a cyborg crime fighter by the OmniCorp corporation. As long as the human component is there, a good story can work in any time period, it’s not locked into a specific place in history. What’s so cool about RoboCop is that like good Westerns, sci-fi films and dramas, the human connection is really important to a story well told. What draws me now is someone searching for their lost identity, taken away at the hands of people who are benefiting from it, and seeing his memory jogged by events. That is most captivating. Justin Rhodes, screenwriter on the upcoming Terminator and Masters of the Universe reboots, has been tapped to rewrite a script by original Robocop writers Ed Neumeier and Michael Miner — now serving as producer and executive producer, respectively. Robocop was recently rebooted in 2013 by MGM and Sony Pictures with Jose Padilha directing what would be a slick, but ultimately bland entry — notable only in its foolish decision to skip out on the brutally memorable attack that would lead to Alex Murphy’s Robocop transformation (at least he didn’t fly though).